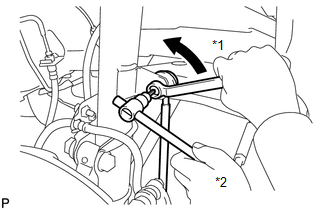 (a) Remove the 4 bolts and rear stabilizer bar. 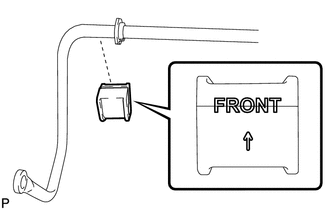 (a) Remove the rear No. 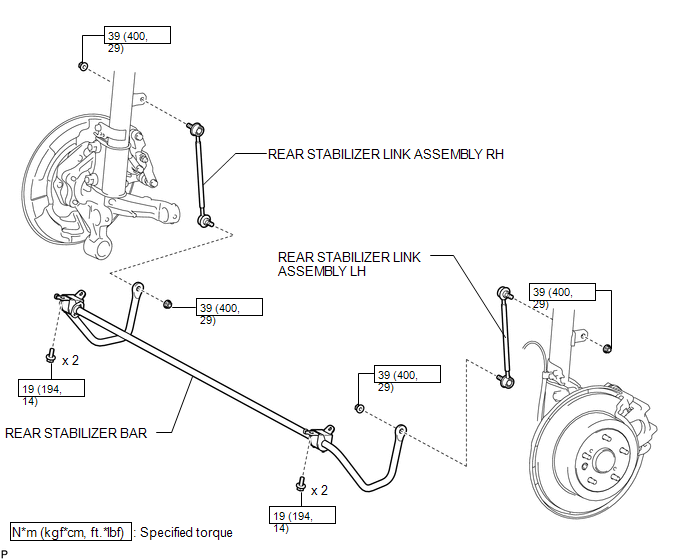 1 stabilizer bar bracket. 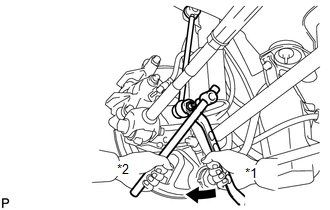 (a) Remove the rear stabilizer bushing. 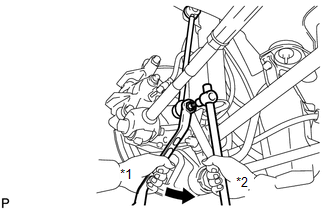 (a) As shown in the illustration, move the ball joint stud back and forth 5 times before installing the nut. 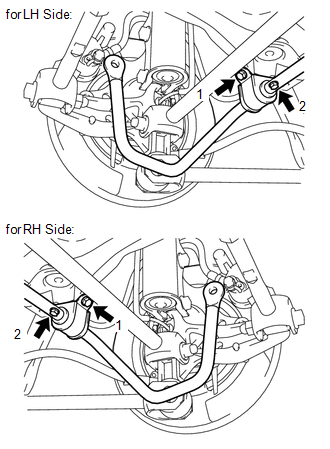 (a) Install the rear stabilizer bushing. 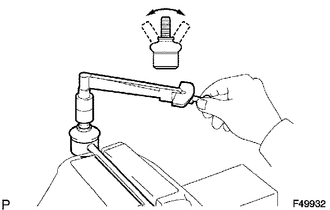 Bushing slit should always face vehicle forwards, even if bushing "FRONT" text does not exist. 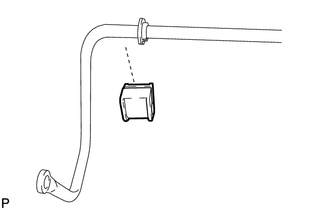 (a) Install the rear No. 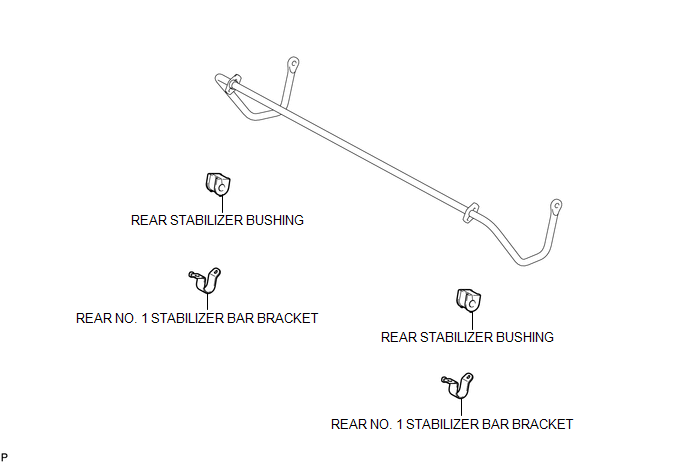 1 stabilizer bar bracket. 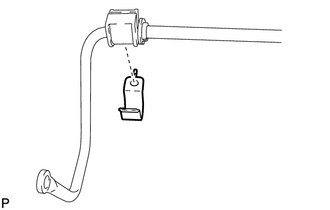 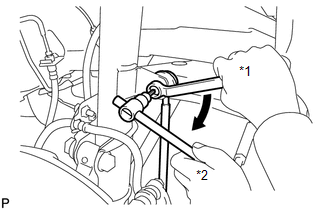 (a) Install the rear stabilizer bar with the 4 bolts in order 1 to 2.